Diagnosing substance abuse is not as complicated as many might think. Only two out of the list of symptoms which would indicate substance use disorder have to be present over a period of 12 months, according to the Diagnostic and Statistical Manual. Many people aren’t aware of how simple and common the early signs of substance abuse are. Focusing on the more developed signs of substance abuse like cravings and withdrawals, they miss the early behavioral symptoms. Early intervention is proven to be most effective in abstinence after treatment. Taking a higher dosage than the prescribed amount of prescription or over the counter medication: Prescription medication and over the counter drug addiction is common. If a loved one is known for taking one or two more than the normal prescription, this is a sign of substance abuse. Their addiction might not be the medication they are taking, but something else. It is the behavior of chronically taking more medication than necessary which is problematic. Claiming to need to use medications longer than prescribed amount of time: Medications, both prescription and over the counter, create physical as well as mental effects which can be enjoyable and euphoric. Substance abuse means using medications, or any substance, beyond it’s purpose. 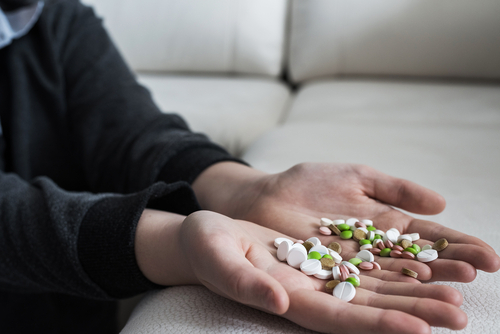 Trying to extend medication beyond its original expiration date indicates that there is a growing preference for being under the influence of substances. Drinking more alcohol than normal, but justifying it: For those who are abusing alcohol, there is always a reason to drink. Once they start building a tolerance and need to drink more, there is always a reason to drink more as well. Despite growing consequences of drinking more and more, the alcohol consumption continues to build. Changes in relationships and responsibilities: Substance abuse affects all areas of life. Friendships, social circles, romantic relationships, family relationships, and any kind of human to human interaction changes significantly when substance abuse becomes part of the picture. Denial of any problem: Denial is a common part of substance abuse. When substance abuse is in its early stages and there doesn’t seem to be a problem which is fully developed, denial will be at its worst because substance abuse in mild forms is very common. Admitting there is a problem; admitting they cannot or will not stop: As substance abuse becomes more developed it becomes more difficult to deny there is any problem. A hallmark of substance abuse is actually admitting there is a problem but continuing to abuse substances despite the problem. Chemical dependency signs: cravings, tolerance, withdrawal: Substance abuse becomes a fully developed problem of chemical dependency when signs of cravings, tolerance, and withdrawal start showing up, in any form.